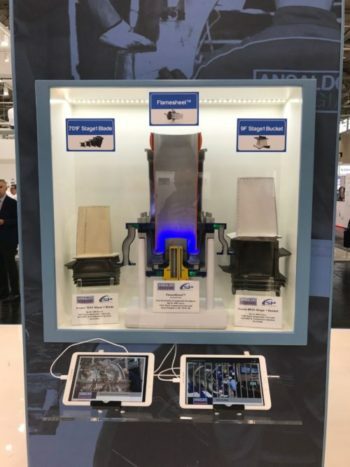 With an enhanced industry exhibition concept to introduce to customers, PSM and Ansaldo Energia were prominently on display at the recently concluded PowerGen Europe conference in Cologne, Germany June 27th -29th. With the new slogan “Ansaldo Energia – Power together”, we spent 3 days meeting with customers and demonstrating visually our product solution offerings with nine (9) on-demand solution videos and a virtual tour of the new Ansaldo factory using VR technology. 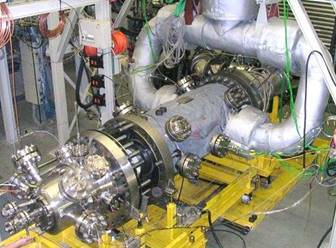 Customer traffic was encouraging despite a very soft gas turbine power market in Europe which clearly is adopting renewable power options at an accelerating rate. To further promote our unique and flexible FlameSheet™ combustion system among customers and industry media editors, we conducted a guided tour of DLR, the German Aerospace R&D facility based in Cologne, where we have been developing and testing PSM combustion technologies since 2003. The tour showed how test data is collected, how the tests are conducted, what the goals of PSM’s validation test program are, and the design innovations that make FlameSheet™ able to expand the operating load range and increase fuel flexibility. Feedback was positive from all attendees, who were very impressed with FlameSheet™’s technical innovation and PSM’s validation rigor, accomplished in part through our collaboration with DLR.